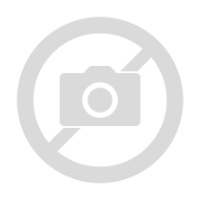 A satchel from the Once Upon A Time range. 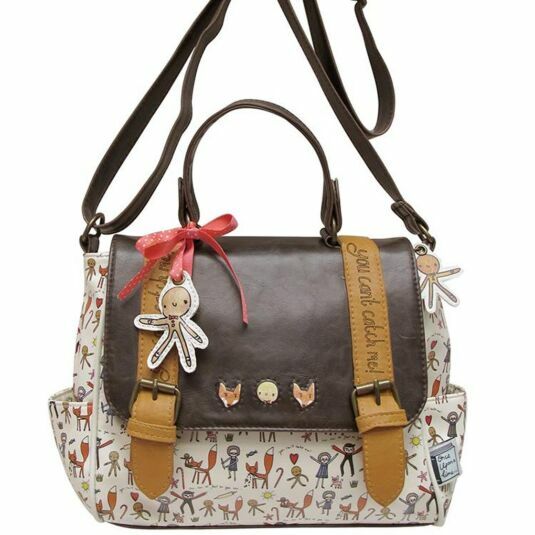 This adorable satchel features the fairytale story of the Gingerbread Man, created by Disaster Designs. 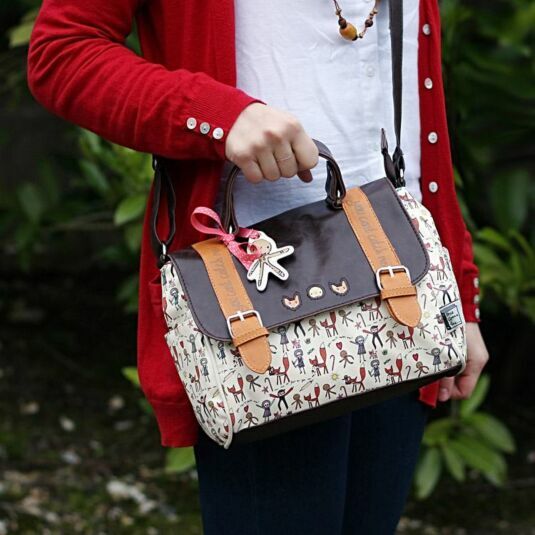 Part of the Once Upon A Time Range, the bag features characters from the Gingerbread Man story, including (obviously!) the Gingerbread Man himself and the wily fox. The bag has "you can't catch me!" 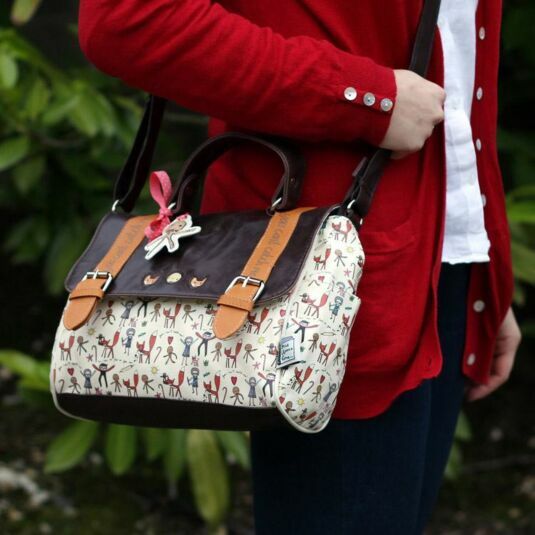 written across its straps, and features a red ribbon with a fabric gingerbread man attached. The satchel has an adjustable strap and a carry handle, as well as a side pockets and an internal zipped pocket for keeping anything special super safe. 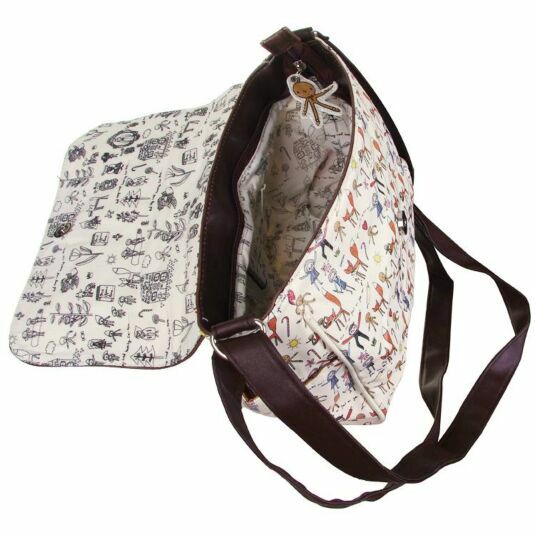 The bag shuts with two poppers, and has room for all your essentials when you're out and about. 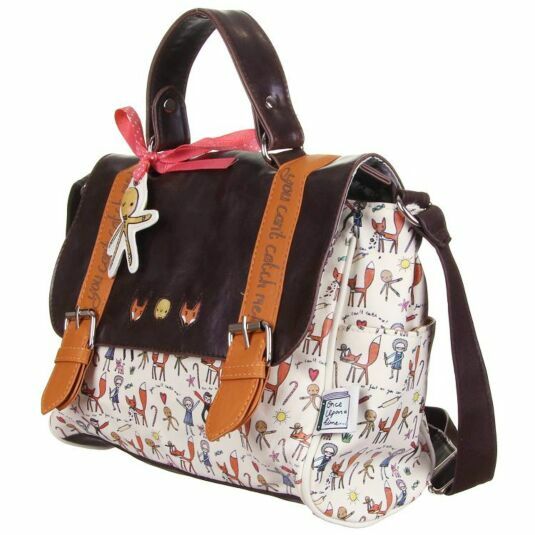 A practical bag with a fairytale finish, with a broad appeal across all ages, from teens to mums to grandmothers.